Mid Kirk Style and Tally Street disappeared from active use as street names many years ago (although I am sure I can remember a “Mid Kirk Style” sign hanging in the old Overgate Centre back in the 70s and 80s!) – they were in the bit of my former Tay Bridges Ward that did not find its way into the West End Ward at the last boundary review. 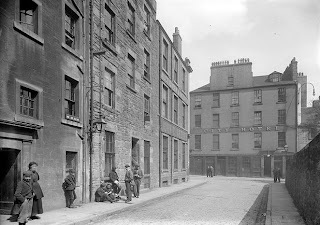 This photograph above shows the east end of Mid Kirk Style, Dundee, looking into the north end of Tally Street, which ran north to south and left to right from the Overgate to the Nethergate. The photo belongs to the City Council’s Photopolis collection, which is fascinating and can be accessed by going to http://www.dundeecity.gov.uk/photodb/main.htm. A pair of historic Dundee street names could re-appear on the city’s official lists after an absence of more than 40 years. Mid Kirk Style and Tally Street disappeared from the map in the 1960s to make way for the first clearance and redevelopment of the Overgate. Now, as the street register is computerised and updated, councillors will be asked to give both streets back their position on official council lists. 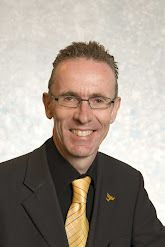 Convener of the planning and transport committee, Fraser Macpherson said: “Despite the Overgate being redeveloped twice now since the original warren of lanes, closes and styles made way for a shopping centre, Mid Kirk Style and Tally Street are actually still there, albeit slightly realigned. The planning and transport committee will decide if it will agree to reinstate the street names to retain the links with a part of Dundee’s history on Monday (January 12).